Hug Me moisturising and smoothing body cream - Tilk! Hug Me foamy body cream moisturizes and improves the skin’s elasticity. 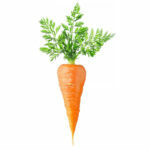 Beta-carotene in the carrot oil gives your skin a beautiful glow. 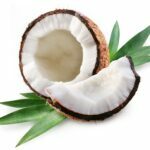 Coconut oil smoothes, tones and moisturizes the skin. The bioactive ingredients of nettle, horsetail and yarrow in the ingredients of this body cream stimulate blood circulation and strengthen the skin structure. Deeply moisturising shea butter gives your skin a gorgeous glow and elasticity. This enjoyable citrus-scented cream is like a soft hug for your whole body. All ingredients are natural and vegan. In the cream we use oils of hand-picked wild herbs from Saaremaa. Carrot oil has softening, rejuvenating and protecting effect. It is rich in beta-Carotene; vitamins A, B, C, D, E and F; and is an excellent skin moisturiser. 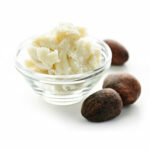 Shea butter reduces wrinkles, renews the skin cells and improves skin elasticity by protecting and moisturising it. Shea butter contains of vitamins A, E and F while it also has anti-inflammatory effect. Coconut oil makes skin soft and moisturised while protecting the skin from ageing. It contains a lot of essential vitamin E and has antibacterial qualities. Ingredients: Aqua, Butyrospermum Parkii Butter, Caprylic/Capric Triglyceride, Medium Chain Triglyceride, Glycerin, Helianthus Annuus Seed Oil, Sodium Stearoyl Lactylate, Glyceryl Stearate, Cetyl Alcohol, Urtica Dioica Extract, Equisetum Arvense Extract, Alchemilla Vulgaris Extract, Benzyl Alcohol, Citrus Limon Peel Oil, Limonene, Tocopherol, Beta-Carotene, Citral, Salicylic Acid, Sorbic Acid, Geraniol, Linalool, Citronellol.